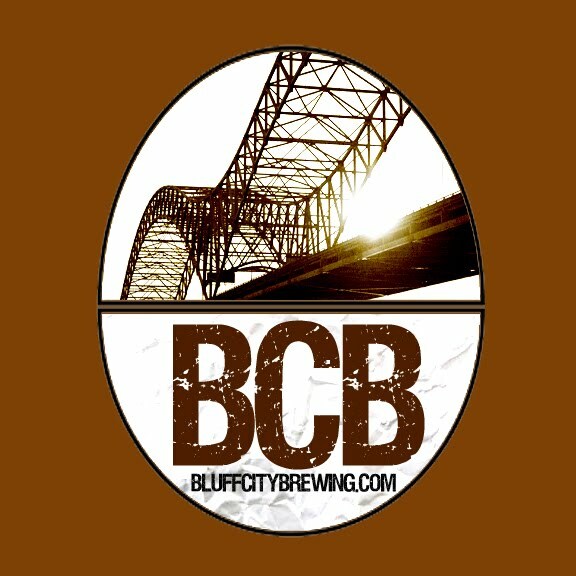 Bluff City Brewing: Lighten up! I enjoy my own Pale Ale. I'd drink a couple pints of it every night if I could. The problem is that I don't get home from work until about 11PM and I need to be up at 6 to take my daughter to school. If I stay up to savor that 6.3% glass of heaven I usually regret it in the morning. So, as part of the solution to my problem, I brewed a beer using the exact same proportion of each grain and hops. But I extracted the same volume from the mash. The bitterness was also adjusted to reflect the same malt/bitterness ratio. I'm shooting for 6 gallons of 3.75 percent ABV with the same flavor and body as the 6.33 percent version. I know the beers are not likely to be exactly the same. The lighter beer will have less body and be even less likely to have any alcohol flavor in it. That's good because the stronger version does not exhibit a strong prescence of alcohol anyway. If these are the only differences between the beers I'll consider the experiment a success. I checked the fermentation vault this morning and the beer looks good through the glass of the carboy. I think I'll let the yeast clean up any off flavors for a couple more days before I package it. Now if I could just somehow stop time at 11 o'clock at night to enjoy it more. Another project is yielding some favorable results. 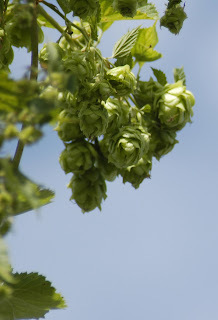 I have several hop cones on my container grown bines. When they are harvested and how they are handled for making beer remains to be seen.